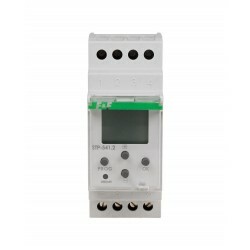 To control the "star"-"delta" contactor connection system. 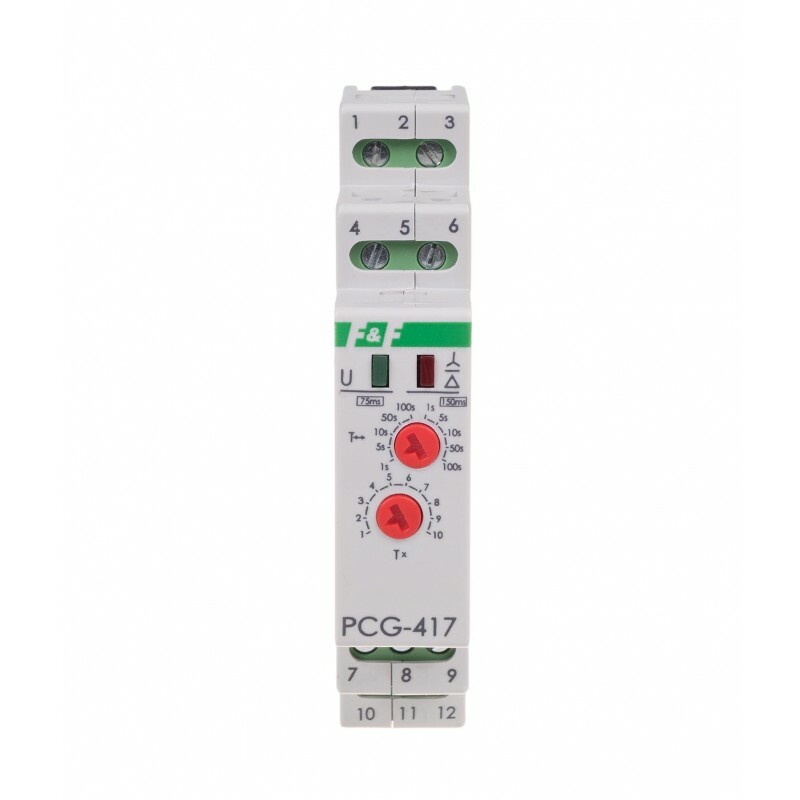 The PCG-417 relay is equipped with a special system of two electromagnetic relays which removes the risk of activating two connectors simultaneously, with each relay controlling a given connector. 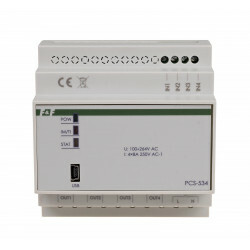 Once the system is switched from "star" to "delta", one relay disconnects the "star" connector (a forced interval takes place). 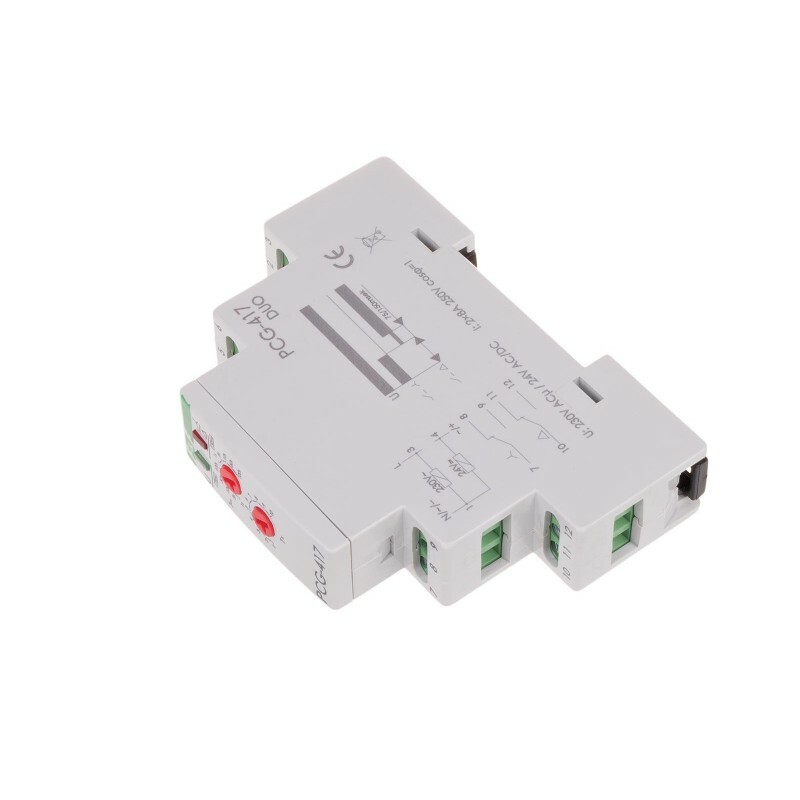 The other then activates the “delta” connector. After the power supply is turned on, the contact 7-9 is closed and remains in this position for the preset start-up time t1. After the lapse of t1, contact 7-9 opens and both contacts remain open for the time t2. 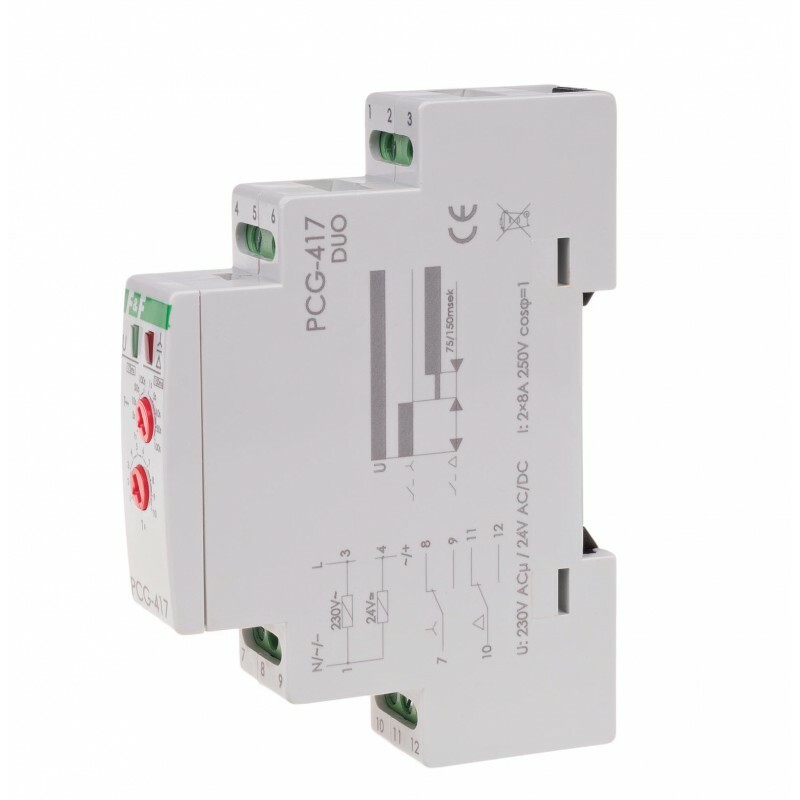 After the lapse of t2, the contact 10-12 is closed and remains in this position until the power voltage is disconnected. Wheel of choice for the temporal T↔ set the selected time range (for the option to switch the t2 = 75msec to the left of the scale and for the option to switch the delay t2 = 100msec on the right hand scale). Knob to set the value of T× on a scale of 1 to 10. A product of these values is equal to start time T1 (eg T1 = 1s × 7 = 7sec).